Estimations about Iran’s new ambassador in Iraq ended. 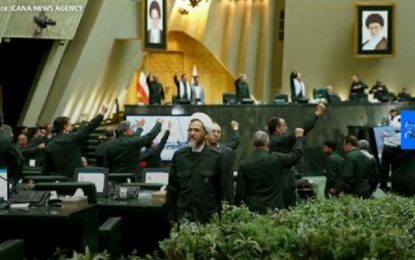 Ministry of Foreign Affairs in an unexpected action appointed Brigadier General Iraj Masjedi, the Quds Force senior adviser, to this position however the presence of a military in Foreign Ministry had never been publicized earlier. 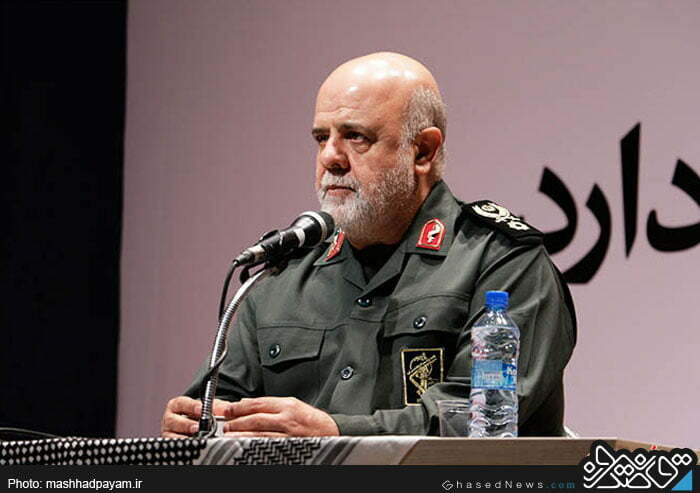 Iraj Masjedi is a Brigadier General of the Iranian Revolutionary Guards that as the Senior Advisor of the Quds Force his speech and lectures have been frequently on media. Haft-e Sobh newspaper reported on the last steps of selecting the new ambassador in the second important country in the region, Iraq. The mission of the Iran’s current Ambassador in Baghdad, Hassan Danaifar, has been extended two years longer due to the sensitivity of the Iraq’s recent conditions. The 6-year mission of Iran’s current ambassador to Baghdad will end shortly and the new diplomatic option, Iraj Masjedi, will replace him for handling the critical and important Iran’s Embassy. -The Quds Force foundation was one of the Supreme leader’s inventions. – Quds force is responsible for organizing and supporting warriors and liberation movements as well as helping the revolutionary governments. Quds Force is not responsible for developments in the country and its main duty which has been extended after appointing General Soleimani, is fighting with the enemies. – The Quds’ activities were not supposed to be advertised but Lebanese and Iraqi Mujahidin believed that the supports of the Islamic Republic of Iran should not be kept secret; just like the United States that makes the most of media, we should make the most of this field too. 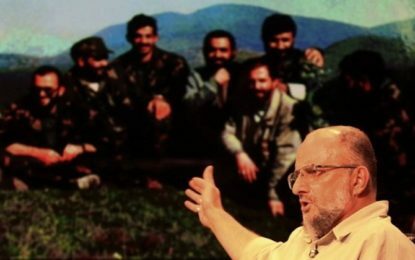 – We promise that the new generation of the countries under our influence are more revolutionary, more motivated and much more in favor of Velayat-e Faqih( Guardianship), for example, Jihad Moghniyeh did not allow the way that his father had gone to be abandon by soldiers. – ISIS had several purposes and one of them was reaching to Tehran, however the Quds Force and the Iraqi army crippled them quickly. – If Allahdadi and other defenders of shrine in Syria and Iraq were not martyred, today we had to fight against ISIS on the Islamic Republic’s borders. We should fight strategically and repulse the enemies away as farther as possible otherwise we had to let the ISIS reach the West Azerbaijan and Kermanshah borders and then dispatch our troops there. – ISIS even marched near Samarra and from the northern axis to Erbil and Kirkuk. There was a great concern of the destruction of the Kadhimiya and Karbala shrines among people. The country was in a very bad condition and they were very worried when we met Iraqi leaders; on the other hand people were running away from their homes in order not to lose their heads. 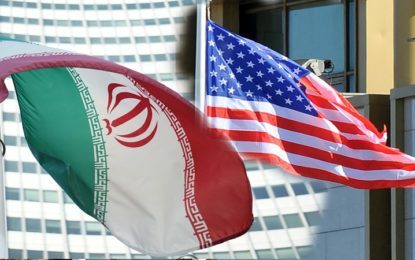 Pointing out that IRGC and Quds Force were representatives of the government in fight against ISIS, the Senior Advisor of IRGC said: “In a meeting with Mr. Maliki, Barezani and Talebani we respired them and told them to attract and organize the popular forces quickly; at the same time a message from Ayatollah Sistani also embraced the young people to join the military so that Iraq even ran into trouble to feed them. Mentioning to the important role of Badr Corps’ commanders in this victory he said: “the patronage of commanders of Badr as well as Commander Soleimani and Quds Force organized the people and presented a basic training for them, making a strong troop to encounter with ISIS and defeat them, thanks God. The Senior Advisor of Quds Force mentioned: “Mosul’s freedom depends on the young Sunni fighters and believers taking part which unfortunately has not happened yet. Sunni, tribes, tribal leaders, as well as Arab sheikhs, should join together and help the Iraqi army to clean up the ISIS from the province. “We fight for the Islamic Republic; we should control Israel in its borders in order to prevent them from missile attack to Iran. We should consolidate our power in the West Bank and Gaza in order to stop Israel from appearing around Islamic Republic borders. Action taken by Hezbollah is not the final response to the Zionist regime. Hezbollah is a powerful and rational organization and does not make emotional rush decisions. He said: the West Bank should start resistance. Palestinian Liberation Organization needs to know that the path to victory is through resistance and strength but not political negotiation, what Hezbollah and Hamas are acting. The Senior Advisor of Quds Force added: when the news of “Jihad’s” martyrdom was delivered to his mother she asked Seyed Hassan Nasrallah whether his son also was considered a martyr? His positive answer cheered her up and she praised God. He also referred to martyrdom of Commander Allahdadi and said: During the war he was a Brigade Commander and he was killed by a Zionist helicopter a few days ago. The remarkable thing about Commander Ahhahdadi is that he was a martyr’s son and a martyr’s brother as well. The Senior Advisor of Quds Force continued: we should confront with ISIS on two major points: military and ideological-cultural fundamentals. As long as they are wrong, they will not last long. This is a very serious and holy war that many of our honorable Imams lost their lives for that. Hassan Nasrallah’s words horrify the Zionists! He continued: Previous to this, Zionists won all their wars. But after Iran and Quds Force taking part (in the battle) they were not able to make any achievement in Gaza, 22-day war as well as the 33-day conflicts; therefore they reached the United Nations and the United States asking them to end the war. The Senior Advisor of Quds Force stated: Hezbollah added provisions to accept the ceasefire at 33-day conflict and made them to obey, while the ceasefires were fully beneficial to the enemy in the past. He said: the Zionists name Hasan Nasrallah “Seyed Al-Sadegh” and during the 33-day conflict he announced that if the war continues Hezbollah’s rockets would hit Haifa first and then ruin Tel Aviv. Commander Masjedi added: Now Hezbollah, with the help of Iran, can protect itself against Israel. However it still cannot destroy this regime in offensive operations, but practically at every conflict it can provide deterrence and regretting the enemies from attacking. Pointing to the current Syrian events, the Senior Advisor of Quds Force added: during the transformations in Syria, the whole world stood against Bashar Asad’s government to break its resistance which is the connecting ring between Iraq, Syria, Lebanon and Iran. At first they did well, but when the Guards and Hezbollah stepped forward and Afghan and Iraqi forces stormed towards, the enemy was forced to retreat. The Iranian Embassy in Baghdad is considered as one of the strategic positions abroad, therefore choosing its Ambassador is of the utmost importance. After administrative procedures, Masjedi, as an ambassador will be bound for Iraq where has a crucial situation such as Syria, due to struggling with ISIS terrorist groups. Mohammad Reza Raouf Sheibani, Iran’s Ambassador in Syria, also returned back from Syria a month ago after assuming his responsibility for 5 years in Damascus, however the final option for his replacement has not yet officially been announced. Although media were reported Javad Tork Abadi, Iran’s former Ambassador in Sudan as the possible ambassador of Iran in Syria, Foreign Ministry spokesman, Bahram Ghasemi did not confirm the news and said: I do not endorse anything until the process is over, and the process is over and reaches to the end, we will finally announce the Ambassador’s name at the final step.